Yin & Juice offers yoga classes, tarot readings, holistic life coaching, crystals and yoga accessories. 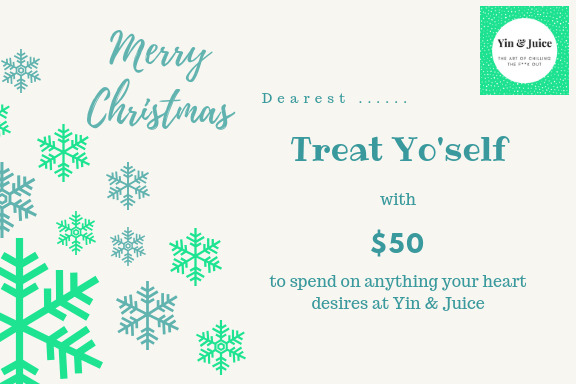 Give them the gift of choice so they can decide how they want to spend it @ Yin & Juice. The voucher will be sent electronically (most eco-friendly option- love the earth! ), however I can arrange for one to be printed and posted for a small extra fee.